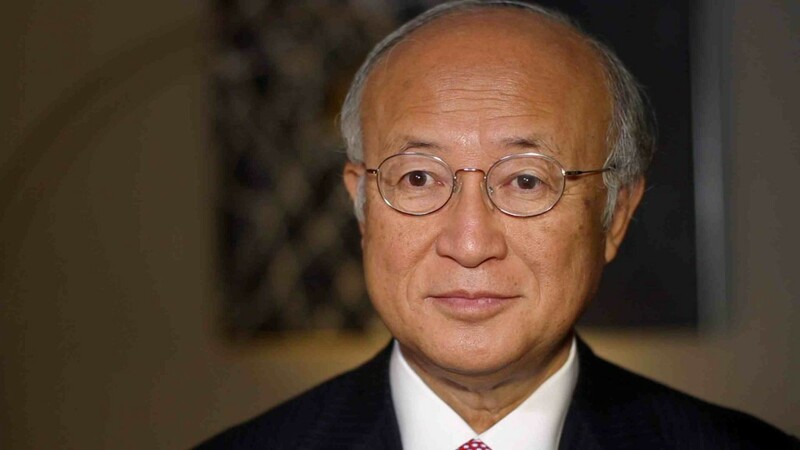 Yukiya Amano is Director General of the International Atomic Energy Agency (IAEA). Prior to his appointment, Amano served as the Japanese Ministry of Foreign Affairs’ Ambassador, Director-General for Arms Control and Scientific Affairs. There are a couple of important points in the latest report. One is that since November last year, the International Atomic Energy Agency (IAEA) has intensified dialogue with Iran, and I myself went to Tehran, but so far there has been no concrete result. This is frustrating. We have requested access to the site called Parchin. According to our information, they have a large explosion chamber out there;but Iran did not give us access, and instead they demolished buildings, and removed the soil. In the meantime, Iran has continued to enrich uranium, up to five percent and up to twenty percent. These are the main points of my latest report. And Iran doesn’t have the capability to enrich uranium to a high enough degree to create weapons, at this point? What we say in our report is — we don’t say that Iran has some nuclear weapons. We don’t say that Iran has made a decision on the development of nuclear weapons, but we have pieces of information that indicate that Iran has engaged in activities relevant to the development of nuclear explosive devices. We are asking Iran to engage with us to clarify these issues. Netanyahu said that Iran is seventy percent of the way there. Do you agree? How would a strike against Iran from the U.S. or Israel impact the IAEA? I am a diplomat and IAEA is the organization to seek a solution through the peaceful approach. If there is a military strike, then that will certainly hamper verification of activities. What can the U.S. do to assist you in that mission? The U.S. and other countries are encouraged to ask Iran to implement all of the regulatory obligations, including comprehensive safeguard and other obligations. Implementing the obligation is the key, and we need proactive, full cooperation from Iran.